This Chevrolet Silverado 3500HD boasts a Turbo-Diesel V8 6.6L/ engine powering this Automatic transmission. WT CONVENIENCE PACKAGE includes (DPN) outside heated power-adjustable vertical camper mirrors, (DD8) inside rearview auto-dimming mirror and (AQQ) Remote Keyless Entry; Regular Cab also includes (A31) power windows., WORK TRUCK PREFERRED EQUIPMENT GROUP includes standard equipment, WINDOWS, POWER with driver express up and down and express down on all other windows. * This Chevrolet Silverado 3500HD Features the Following Options *TRANSMISSION, ALLISON 1000 6-SPEED AUTOMATIC electronically controlled with overdrive, electronic engine grade braking and tow/haul mode, TRAILER BRAKE CONTROLLER, INTEGRATED, TIRES, LT235/80R17E ALL-SEASON HIGHWAY (STD), SUMMIT WHITE, SEATS, FRONT 40/20/40 SPLIT-BENCH 3-passenger, driver and front passenger recline with outboard head restraints and center fold-down armrest with storage. Vinyl has fixed lumbar and cloth has manually adjustable driver lumbar. (STD), REMOTE KEYLESS ENTRY, REAR AXLE, 3.73 RATIO, POWER TAKE OFF, ENGINE CONTROL PROVISIONS, PAINT, SOLID (STD), ONSTAR AND CHEVROLET CONNECTED SERVICES CAPABLE. * Stop By Today *Come in for a quick visit at Stingray Chevrolet, 2002 N Frontage Rd, Plant City, FL 33563 to claim your Chevrolet Silverado 3500HD! This Chevrolet Silverado 3500HD boasts a Turbocharged Diesel V8 6.6L/403 engine powering this Automatic transmission. WHEELS, 18 (45.7 CM) CHROMED ALUMINUM includes 18 x 8 (45.7 cm x 20.3 cm) steel spare wheel. Spare not included with (ZW9) pickup box delete unless a spare tire is ordered. (STD), UNDERBODY SHIELD, FRAME-MOUNTED SHIELDS includes front underbody shield starting behind front bumper and running to first cross-member, protecting front underbody, oil pan, differential case and transfer case, TRANSMISSION, ALLISON 1000 6-SPEED AUTOMATIC, ELECTRONICALLY CONTROLLED with overdrive, electronic engine grade braking and tow/haul mode. *This Chevrolet Silverado 3500HD Comes Equipped with These Options *GOOSENECK / 5TH WHEEL PREP PACKAGE -- HITCH PLATFORM TO ACCEPT GOOSENECK OR FIFTH WHEEL HITCH. Includes Hitch platform with tray to accept ball and drilled box holes with caps installed, box mounted 7-pin trailer harness (similar to (UY2) harness)., DURAMAX PLUS PACKAGE includes (L5P) Duramax 6.6L Turbo-Diesel V8 engine, (MW7) Allison 1000 6-speed automatic transmission, (GT4) 3.73 rear axle ratio, (K05) engine block heater and (K40) exhaust brake. (Includes (VQY) chrome recovery hooks, LPO.) , TIRES, LT265/70R18E ALL-SEASON, BLACKWALL (STD), TIRE, SPARE LT265/70R18E ALL-SEASON, BLACKWALL (STD), SEATS, FRONT FULL-FEATURE LEATHER-APPOINTED BUCKET. Includes 12-way power driver and front passenger seat adjusters, including 4-way power lumbar control, 2-position driver memory, adjustable head restraints, (D07) floor console, storage pockets and (K4C) wireless charging. (STD), SADDLE, PERFORATED LEATHER-APPOINTED SEAT TRIM, REAR AXLE, 3.73 RATIO, PAINT, SOLID, LPO, REAR UNDER-SEAT STORAGE, COMPOSITE STORAGE BIN, LPO, CHROME RECOVERY HOOKS. 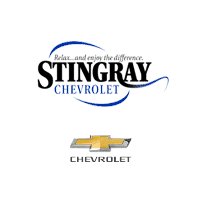 * Stop By Today *A short visit to Stingray Chevrolet located at 2002 N Frontage Rd, Plant City, FL 33563 can get you a tried-and-true Silverado 3500HD today!